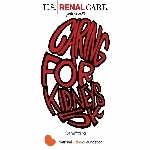 WELCOME TO MY TEAM KIDNEY FUNDRAISING PAGE! I’m challenging myself on and off the course to help raise funds to support the National Kidney Foundation (NKF) and the work they do to help the 73 million Americans at risk for kidney disease, the 30 million Americans living with chronic kidney disease, and those who care for and about them. Did you know that 1 in 3 American adults are at risk for kidney disease? Major risk factors include diabetes, high blood pressure, a family history of kidney failure and being age 60 or older. Kidney disease often has no symptoms, and it can go undetected until very advanced. But a simple test can tell you if you have kidney disease. NKF is leading the pace group in the fight against kidney disease and I am excited to join the pack! Will you join us by making a donation or challenging yourself too? Every dollar counts, and I would be grateful for your support to help fight kidney disease!